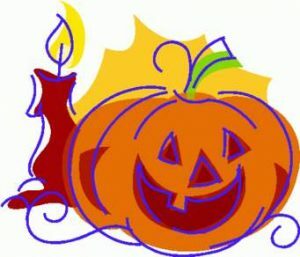 Halloween/Samhain is celebrated around the world. Traditionally 31st October is the night when the veil between the world of the living and the world of the dead is at its thinnest. This is the best night of the year to make contact with the spirit world. Common customs for Halloween are – lay and extra place at your dinner table in remembrance of those in spirit. You should place a small portion of food and drink at this place and raise a glass to ‘absent friends and loved ones’. Bonfires can be lit, or candles if you can’t get outdoors, to celebrate the start of the darker season and it is traditional for friends and family to get together to celebrate and appreciate all they have in life. We didn’t always carve pumpkins to make lanterns, which were set outside the front door to keep any wandering spirits away and help them find their way back to the spirit world. In olden days beetroots and turnips were used, children went from door to door begging for money of food. Trick or treating, as we know it today comes from the old tradition of treating any roaming spirits with kindness. These days children enjoy dressing up and gathering bags full of sweets. Here’s a delicious recipe to keep you warm during chilly days. 1 Heat the oil over a medium heat in a large lidded pan, fry the onion until blonde, tip in the garlic, ginger and chillies until they sizzle a little, browning at the edges. 2 Add the pumpkin chunks, season with salt, a touch of sugar and add the water. Cover and cook for 15 minutes until the pumpkin flesh has yielded. 3 Remove the lid and sprinkle in the ground coriander, curry leaves and thyme sprigs, cooking uncovered for another 10 minutes, reducing the pumpkin stew a little. Would You like to Learn to Read the Tarot? 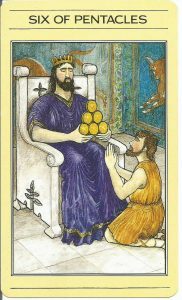 Tarot4you have a great Intuitive Tarot Course available, via our website (tarot4you.co.uk) . The course modules will take you through the whole process of honing your intuition, meditation techniques, simple self-protection, how to read the cards by hearing the messages they are giving you and your subconscious. This is a great course and completion of the final self assessment will give successful candidates the T4Y Certificate of Competence for Professional Readers. This will also enable you to join the National Tarot Readers Association as an Accredited Member. 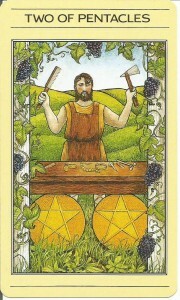 Go to the products page of – www.tarot4you.co.uk. Time to show your generous side. 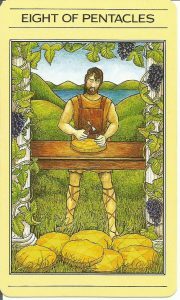 Our Six of Pentacles tells us that in sunny June you need to relax a little and control any mean or cautious tendencies. If someone you know well is in need and asks for a small loan help if you can. Don't walk past someone less fortunate than you are, offer a hand or just enough money for a meal if needed. What goes around comes around, being genuinely open and generous when you can will repay you later in life in all sorts of surprising ways. Make the sun shine in someone's life this month. Crystals have been used for hundreds of years and have many practical uses such as in healing, massage, chakra work and are used in lots of other natural therapies. If you are new to crystals or just buying another one or two for whatever reason it’s a good idea to make sure that you cleanse them before you begin to work with them. Crystals pick up energies and vibrations before they reach you, they will have travelled many miles and been through a variety of experiences. You need to make your chosen crystal your very own, cleanse it of any previous possible negative vibrations. This is a simple process but will make sure that your crystal is completely clear and will work for you. Hold your crystal under cold running water – this can be as simple as your kitchen or bathroom tap or if you happen to have access to a flowing stream why not hold your crystal in the water for a few seconds! Don’t dry the crystal with a towel, it must dry naturally in the daylight, if the sun is shining so much the better, natural sunlight is very energising. Let your crystal be immersed in some salt water over night. In the morning take it out and place it on a windowsill to dry naturally. Your crystal is now cleansed and ready to work it’s magic for you! In the UK sunny days are fairly rare and its good to take the opportunity to make to most of them when we can. Sunshine, blue skies and warm temperatures make us all feel more relaxed and it helps to top up our vitamin D levels which is vital for our health. If you manage to over-do your exposure to the sunshine and suffer from a little mild sunburn here are a couple of ideas for natural remedies.  Try applying some aloe vera gel or even fresh sap from the plant if that’s possible. Also Calendula/marigold cream is very soothing. Try adding a few drops of lavender, peppermint or chamomile to a tepid bath. Now available via our website, our new Tarot Gift Pack, a great way to start your journey with the Tarot. 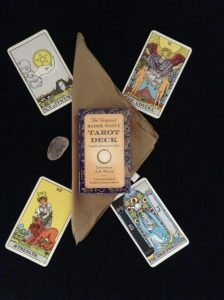 The pack contains – a new/sealed pack of Rider Waite Tarot cards, the most popular deck used by beginners and experienced readers alike with colourful pictures and symbols that are easy to interpret (small instruction booklet in pack supplied by manufacturer, or see the T4Y Intuitive Tarot Course). We have included a gold 100% silk cloth to protect your cards and an AA grade rose quartz crystal to help protect and calm emotions, the best healing crystal and perfect to keep with your cards. This is a lovely pack either for you or as a gift for a friend. 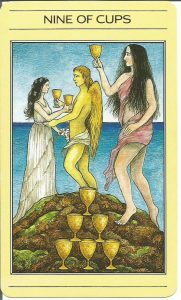 Nine of Cups: - July is the time to kick back a little and celebrate your achievements in life and rightly so as they have been hard won. Think about what you have managed to do over the last few months and appreciate your successes, also learn from any failures. Sit back and relax for a short while and give yourself a treat. There could be surprise invitations this month.Don't say no unless you really have to. You only live once. If you have had any problems completing a project then the way is now clear, try once more and you will find that you can do whatever you need to fairly easily. The month of May is likely to be busy! No time for relaxing just because Spring is here as there as you will need to keep your head down and concentrate on building financial resources to carry you through. This is a good time for you to perhaps learn a new skill or turn an existing skill into something profitable. 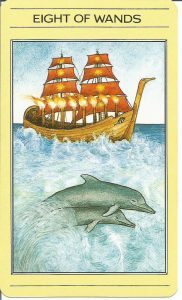 You have hidden talents, now is the time to use them for your own good because there is something in the air now that will allow you to suddenly develop a hobby or skill into a money making idea. No matter what stage of life you are at now is the time to think about this kind of venture. With spring well and truly on it's way everything is starting to happen! Things will start moving faster this month, sometimes faster than you think you can handle. Just go with it, this is a great time of year, new growth in all areas of your life is indicated. 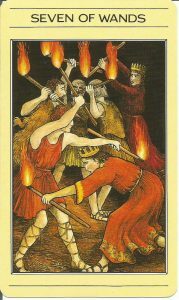 April and the Eight of Wands allow nothing to hold you back. Optimism and energy will be renewed and your journey onwards will become clear again. Learn to read the Tarot, my new comprehensive course will be available very soon! Covering everything you need to know to learn how to give real intuitive Tarot readings my new course will be available January 2017. The course will help you to develop your psychic potential with the Tarot, give you ideas for spreads and offer exercises to help you progress. Don't waste money on those Tarot books, this course is all you will need get you started the right way. Register your interest now via my website and I will email you full course information as soon as it is available. The course comprises of 10 lessons or modules and whilst there is no exam if you choose to complete the final assessment question and answer module you will be sent the Tarot4You Course Completion Certificate. December - unsurprisingly now is not the time for saving money as much as you may try to. You keep beavering away and money will come in but you will find that by not getting over excited about this and using the money wisely you can make your bank balance grow a little more, even at this time of year. Keep your eyes open for an opportunity this month, just go with it but be sensible, you won’t be risking much and it could just lead you to better things.